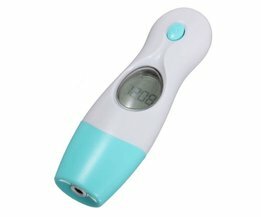 This thermometer is within 1 second of the temperature of the ear and forehead meter by the heat or the eardrum and the forehead. In addition, the probe can also measure the ambient temperature and has a clock function. The thermometer is designed for optimum comfort and a high speed. 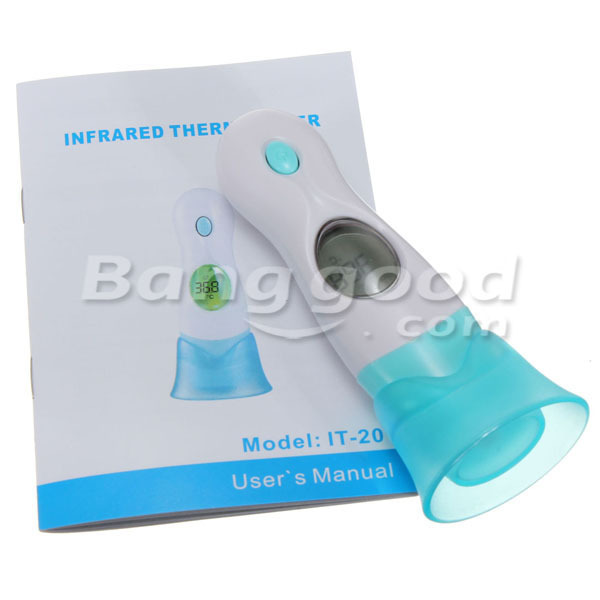 The meter uses infrared technology and has a high accuracy. The meter is simple one-button operation. 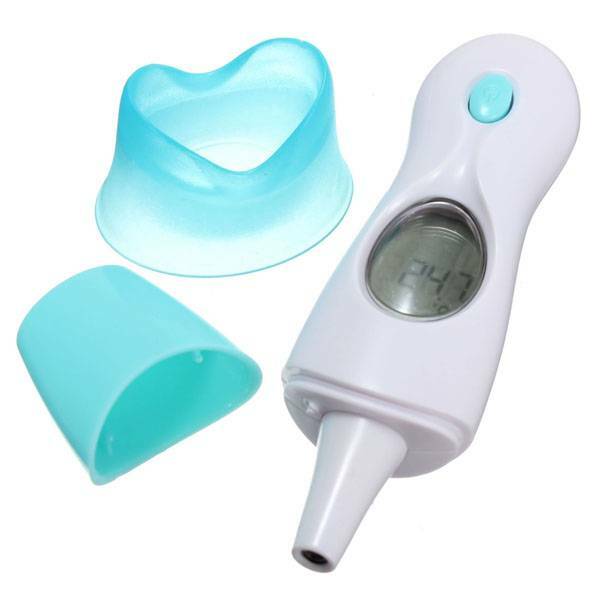 The thermometer thus has four different functions: ear / forehead / ambient temperature / clock. The measurements are displayed on an LCD digital display, and can be expressed in either degrees Celsius as degrees Fahrenheit. 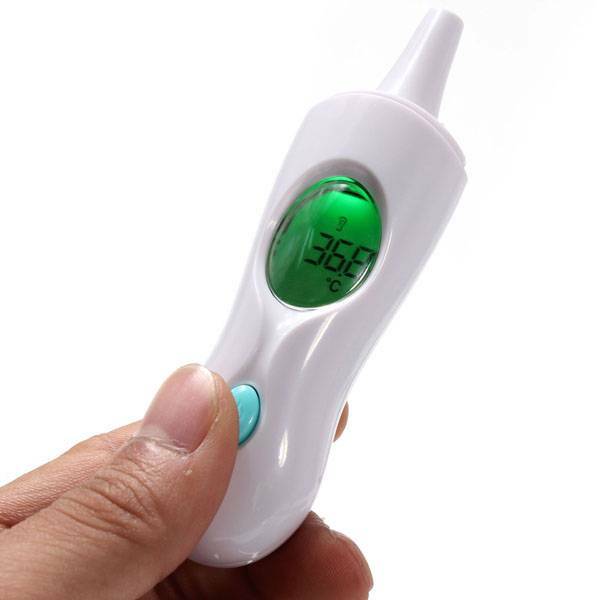 The thermometer is suitable for (small) children and adults. The last measured temperature is constantly displayed. A different sound beep sounds if there is fever. Press one second on the main button. All symbols are displayed on the LCD screen. The last measured temperature will be displayed for 2 seconds. Then --- will appear on the screen and the buzzer will sound one time. The meter is now ready for a new measurement and ° C or ° F will flash on the screen. The thermometer can be switched off manually by pressing the main button, or will turn off automatically after a while.